This list is from The Feifer Five, a monthly newsletter by Entrepreneur's editor in chief, Jason Feifer. Each month, he shares five entrepreurial insights to help you think bigger. Subscribe here. 1. How to prepare for change now! 2. What happens if you don't change! 3. The light at the end of the tunnel! 4. How patience pays off! 5. ...and finally, what we're all in for. 1. Work your next job. Today, in front of each of us, are two sets of opportunities. There’s the stuff we must do -- our daily tasks, what our bosses expect. Then there’s the stuff available to us only if we seek it out: the new things to learn, skills to develop and projects to launch. These new things may be available at our offices, or they may come in the form of a side hustle. Whatever the case, if we seek out those new things, we become more versatile. Our boundaries expand. Our market value goes up. If we don’t, we remain qualified only for the kind of job we’re already doing. We’re vulnerable to change. This, I'm convinced, has been the single most important insight I've had in my career. It's the reason why I've advanced the way I have -- because at every job, I focused on the learning the things that weren't right in front of me, but that would come to help me in ways I couldn't have anticipated later. So I came up with a term for it: Work your next job. It's what you should always be doing. I wrote more about it here. 2. Evolve, or end up like Hans Gruber. Our natural inclination is to find something we're good at, and then repeat it forever. We should recognize that so we don't naturally slip into it. Because here's the thing: The world does not tolerate our stasis. The world moves and changes. If you hit pause, you only stop while everyone else moves forward. You only leave yourself behind. New York: How much of the rigidity of talk-show conventions are about network executives being afraid of change? ... that'll make you look at Die Hard a different way now, right? So, listen: Evolve, or end up like Hans Gruber. Those are the options. 3. Change, yes, but also stay true. "As we approach our 20th anniversary, I have to say that persistence was the key," wrote Craig Cook, the co-founder of Baja Bob's Cocktail Mixes, who appeared in the magazine decades ago and wrote me to check in. "We have had so many disasters along the way, including our bottler being shut down by the ATF with all of our product locked inside. We shouldn't still be in business, but we survived and are having our best year in a long time." That last sentence says it all. They faced every possible challenge. It seems impossible that they're still in business. But. They. Survived. And in fact, thrived! You may think something is insurmountable, but it isn't. He says persistence, but notice how much is rolled up into that word. He survived disasters, adjusted as new challenges arose, and stayed true to his mission while figuring out new ways to execute it. Yes, persistence did indeed carry the day -- and that's what'll carry the many years after that. 4. There are no overnight successes. 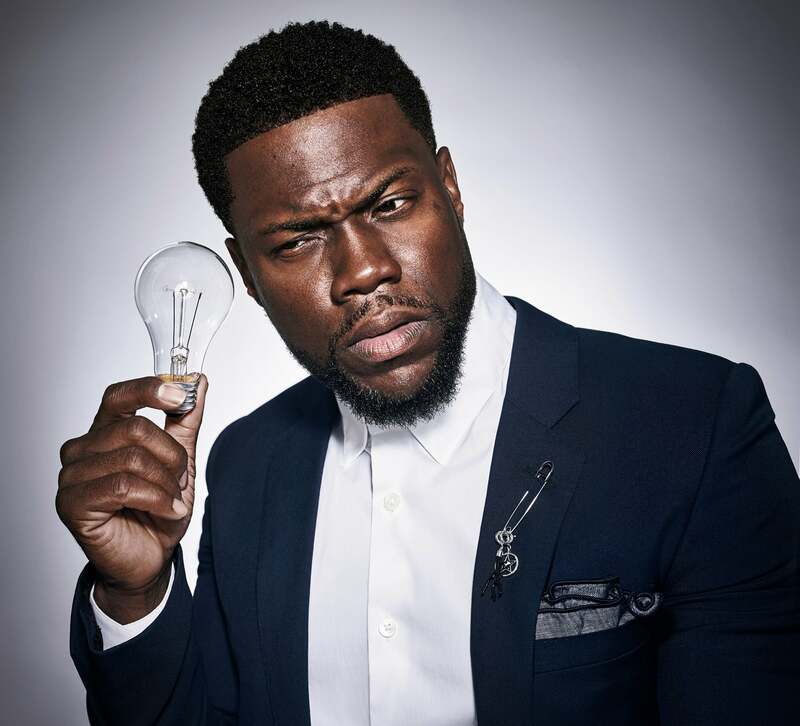 We put Kevin Hart on Entrepreneur's June cover, and I have to admit something: When the idea first came up, I thought, Yeah, he's funny -- but is he really an entrepreneur? Then we reported out the story, and I realized the answer is yes. Success like Kevin Hart's does not come from nowhere. It comes from methodical, thoughtful, careful planning. At many stages, he looked at the way the comedy industry operated -- the way it used and spat out comedians, the way creators almost never owned their work -- and thought: Not for me. I can re-engineer this. And slowly, surely, painstakingly, he changed how he operated, and therefore changed his career. 5. If you're in, you're committed. I've been writing little aphorisms in notebooks and then posting them to my Instagram. The response has been great, though boy, they can be tough to write. 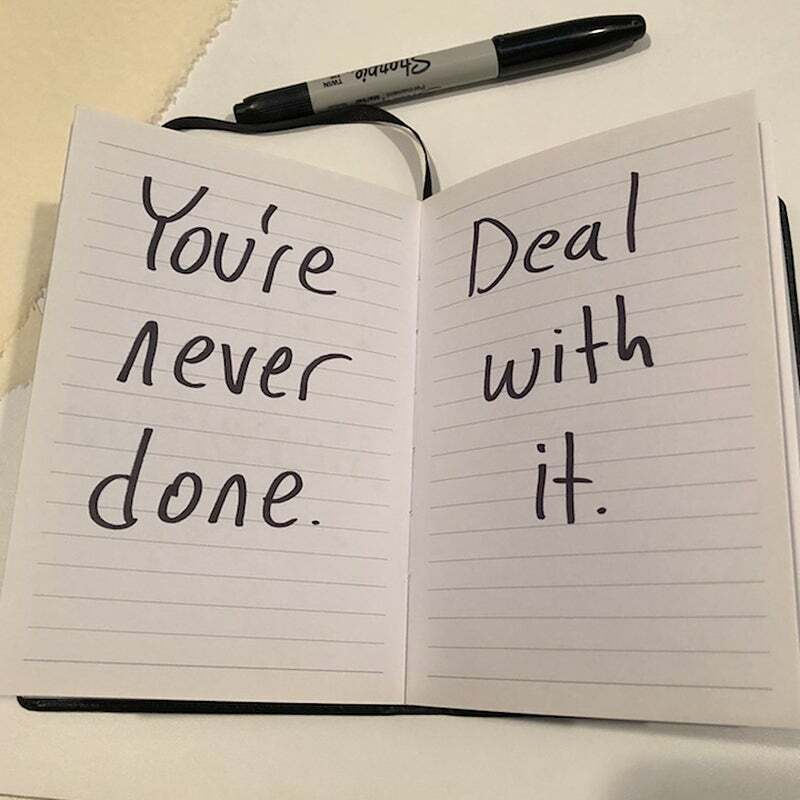 After trying to crank out a batch of 30 of them one weekend, I wrote this one to myself. I think it's a good reminder to us all. And in the spirit of this newsletter's subject, I tell you this: By the time I send out another one of these next month, something in our lives will have changed. Something will require persistence. But we shall still be here, stronger and smarter than before. See you then.